Three-time IHF World Player of the Year signs with Mizuno. Current World Champion top scorer and three-time IHF MVP, Mikkel Hansen, joins Mizuno for a three-year partnership that will contribute to the development of Mizuno’s performance handball shoes. The Wave Intense Tour 5 provides both forefoot stability and rearfoot cushioning to help you achieve a performance on court that is both dynamic and smooth. Crafted for nothing but speed, Wave Sonic 2 is the race training shoe for runners with a need to go faster. You are training hard on a daily basis to better your best and looking for a way to get an edge in the race against yourself. 15 years ago runners came calling for a go-to shoe for the moderate type of running. 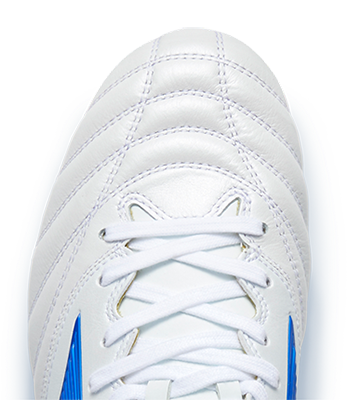 The answer from Mizuno was the Wave Inspire, which covers a wide range of runners of different levels. To perform at your highest level, you must always be in control and the Rebula 2 is all about controlling the game with the ball at your feet. Inspired by our iconic Wave Technology, Mizuno introduces the Waveknit. With a performance enhancing knitted construction on the upper, this innovative material provides a breathable, natural yet dynamic sock-like fit with unique stretch and hold abilities. The perfect fit of the Wave Mirage 2.1 doesn’t only provide extreme comfort, it helps you to stay on top of your game and perform at a high level every time. This years design inspiration of the Mizuno Volleyball Range was the cosmos. This is a theme that is represented in Mizunos DNA: our logo was inspired by the cosmos. The Wave Daichi 4 is Mizuno’s trail running shoe especially designed for unbeatable adaptability so you can maintain top pace even on the most uneven terrains. Momentum is key for every player and team set to reach beyond their goals. When you have momentum on your side, you are hard to beat. Football is more than just practices and matches on the weekend, football is 24/7 all year long. The Day & Night pack is an embodiment of the all-day football. Thinking and playing football from the early hours of the morning into the late hours of the night.